Hair fall in women is a continuous process that happens naturally, with it almost being natural to have 50 to 100 hair follicles falling down every day. However, when it is more than that, it is a cause of concern as this may result to extensive hair loss and even balding. SkinSpace’s Female Pattern Hair Loss treatment can help sort out this problem for you. FPHL or Female Pattern Hair Loss is a condition when a female may notice that her hair fall is more than what can be considered as normal. 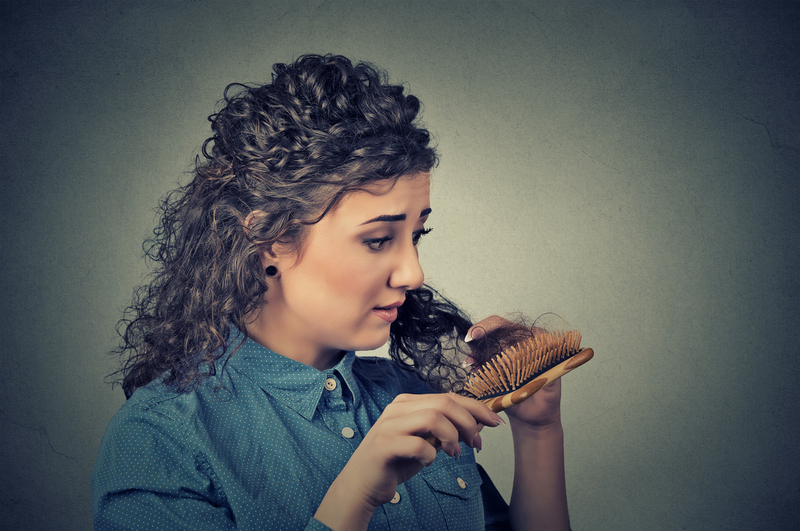 On an average, a female’s hair has a monthly growth of ½”, the growth process for each strand is between two to six years after which there is a break and eventually it falls out. After that, a new hair starts growing in the same place. Though this is a very rare case, however, women also have a tendency to go bald. In this case, although the old hair has fallen off, there is no sign of the new hair replacing those fallen ones. If this treatment is recommended, we will give you a particular medicine which has to be applied on the scalp. We will let you know how many times a day or week it should be done and even the duration of this treatment. You may notice visible improvement in 4 to 12 months. In this SkinSpace Cosmetic treatment, we take out healthy hair follicles from areas where you have active hair growth and then place them on those dead ones. Depending on how bad the hair fall is, we will let you know how many transplants would be needed. Just in case it is needed, we may also prescribe few tablets that you would need to take. The prescribed tablets and the duration will be on the basis of the test results. With these tablets the progress would be slow; however, you will see the results between 3 to 12 months. SkinSpace is the one stop destination for your hair loss concerns. We, at SkinSpace, provide various kinds of treatments for hair fall in women. Our experts’ panel specializes in hair care and hence, knows what kind of treatment will be beneficial for the patient. Apart from analyzing your medical and family history, the SkinSpace Female Pattern Hair Loss specialist will also conduct various kinds of test to determine the reason why you’re facing hair loss. We may also ask you to take a blood test to understand the hormones and vitamin levels of your body. Apart from that, you may also be advised to undertake or undergo a skin biopsy for better analysis. Age is one of the main factors for hair loss in women. As we grow older, our hair follicles tend to go weaker, and this is when we start losing hair. Another reason why we may have hair loss is due to constant pulling or twisting of the hair. Small things like combing your hair when it is wet or being rough when you comb can all result in hair damage. There is a constant change of hormones in a woman’s body. It is not just applicable to the time when she has her days or if she is pregnant; instead, even on a regular basis, her body undergoes a hormonal change. 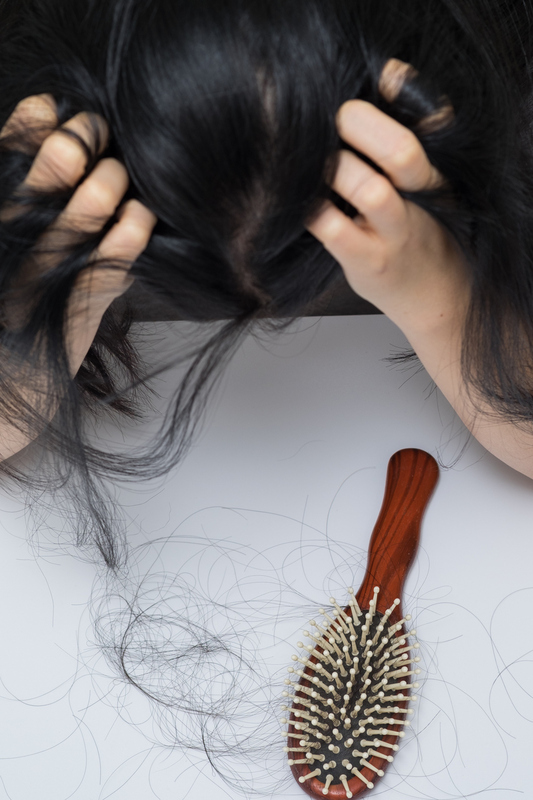 There are times when these changes can result in hair fall, which could be due to hormonal imbalance, too much of testosterone, and more or less thyroid hormones. Some women have some kind of deficiency in their body, such as lack of iron, vitamin B, etc. In such cases also, the hair fall can be severe. Just like men, it is natural that a female may also be on medicines regularly. The hair fall can be one of the side effects of taking a particular medicine regularly.